Despite his election dreams in tatters, JC is hopeful of his “inevitable” break. The minifigs poor performance has resulted in no independents being elected to parliament. 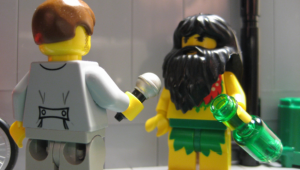 Speaking to Good God, Jesus has stated that he has no regrets and isn’t a loser despite failing to land a Hall of Minifigs seat in an election result that saw him claim just 1% of the national vote. 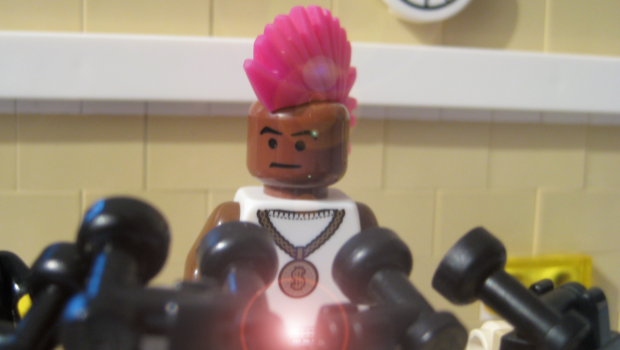 Just hours after the poll results were announced, the minifig was accosted by a reporter from the tabloid on a side street in Davidium. From passer-by amateur video recordings now circulating widely, the hairy minifig appeared more unkempt than usual and under the influence of alcohol but he denied he was any way close to intoxication. Elaborating on the result, Jesus denied that believing in him was foolhardy and that more faith in him was needed. “I’ll deliver, I just need to catch a break. It’s inevitable it will happen soon,” he concluded.